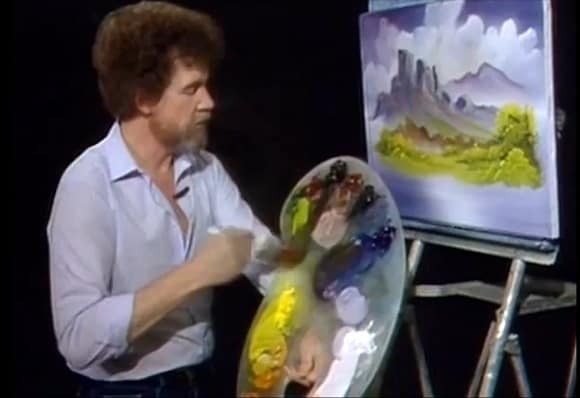 This creative video is created by Youtube user melodysheep (John D. Boswell) and is appropriately called “Bob Ross| Happy Little Clouds”. I think if Bob Ross was alive today, he would approve of this video because as he used to say “anybody can paint” and there are no limits. Hit the jump to watch Bob Ross sing a song about happy little clouds and happy little trees. PS, I just got season 1 & 2 of The Joy of Painting, man do I miss the good old days and Mr. Ross is a very talented painter.